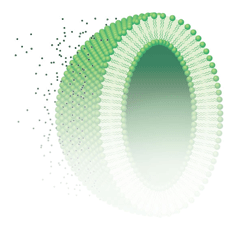 When the word “prevention”, meaning controlling lifestyle and nutrition, becomes a valuable diagnostic support for the enhancement of quality of life: the cell membrane lipidomic analysis fatpharmacy®. If disorders and conditions that affect the well-being and quality of life occur, the fatpharmacy® analysis allows to evaluate the individual status of cellular health, using a comprehensive panel of molecular indicators derived from the membrane of the mature red blood cell. Outlines a clear nutritional style to recover the individual balance. Knowing today what the cell needs is important for the health of today and tomorrow. Manifestation of the following discomforts: metabolic (e.g.. high cholesterol or triglycerides), neurological (e.g.. in mood or memory disorders) and inflammatory (e.g.. joint pain or bowel problems); also useful for cardiovascular prevention. When taking omega-3, omega-6 fatty acid supplements (fish oils, flaxseed oil, borage oil, etc.) and it is necessary to make the appropriate and functional integration. The lipidomic analysis fatpharmacy is available, only in Italy, in Pharmacies and pharmacy-like places, where trained and selected professionals are specialized in lipidomics. It is required to fill out a questionnaire with medical history and dietary habits, to perform an auto-blood withdrawal from the finger (500 microliters / 20 drops), that can be performed directly in the Pharmacy. The material needed to perform the analysis is contained in a single-use kit, available in Pharmacy. Fasting not necessary before analysis. Lipinutragen will send, at most within 10 working days, the report referring to the Pharmacist, who will contact the customer for delivery and discussion of fatpharmacy analysis results. 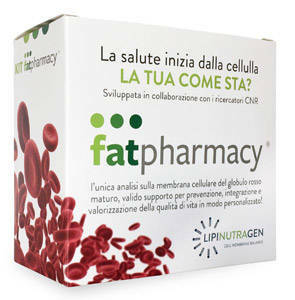 Thanks to fatpharmacy lipidomic analysis, the cell membrane molecular condition is established. When the analysis shows an unbalance, it is important to start and follow the customized rebalancing plan, lasting 4 months. The plan consists of dietary suggestions for a healthier choice of foods, and if necessary the Pharmacist will suggest a customized nutraceutical supplementation. The customized rebalancing plan is not a substitute for the medical care, advice or treatment prescribed by a Doctor. There is an opportunity to verify and monitor the personalized rebalancing plan, in real time, by accessing the MY fatpharmacy online personal page. A pharmacist specialized in lipidomics, the main contact and molecular consultant along all the 4-months period and for the post analysis cell balancing. It is recommended a monthly meeting with the Pharmacist, for further information and / or personalized explanations, regarding the indicated rebalancing plan.